Love Hunting? 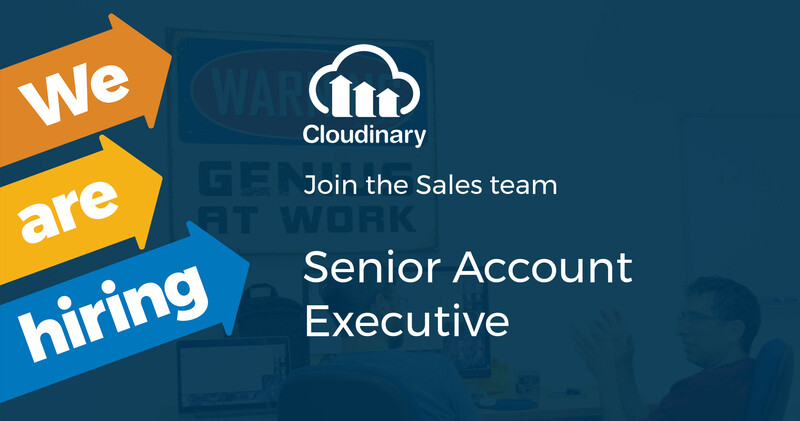 Cloudinary is looking for talented, tech-oriented and experienced Senior Account Executive to join Cloudinary’s growing Sales team. As the number of interested prospects is increasing on a daily basis we are looking for someone to become an integral part of the revenue generating team for USA. We are looking for fun and collaborative talent to partner with. If you are personally career driven and have a proven track record of success this could be the perfect role for you! Source, nurture, and close new customers for Cloudinary. Work closely with Client Success, Sales Engineering, and Product teams to ensure customer success. Present the solution features and benefits to prospects both face to face and online. Developing sales plans to strategically grow and expand the accounts within an assigned geography. Manage accurate monthly revenue forecasts. Proven sales experience of 8+ years working in successful tech-oriented B2B SaaS companies, with a proven track record of exceeding revenue expectations. Required to have been in a hunting role in the past few positions, preferably in tech-oriented B2B SaaS companies. Passion for technical-oriented products, advantage - image or video processing. Can relate technical concepts to both non-technical people, and highly technical people. Excel in both personal ambition AND collaborative teamwork.